Show me directions to Sure Lock Homes Locksmith -Auto Locksmiths (Uk) Ltd.
We come to you,no need for you to go anywhere,we will take care of the problem. LOST OR BROKEN CAR-VAN KEYS REPLACED FROM ONLY £99.00 Inclusive of all parts and labour. Even if your car-van is not listed,we probably cover it,just ask geoff he will help you. Now covering Canary Wharf east london for car and van keys & fob replacements. They will quote &pound;59, then charge 8 times that amount. They ask for cash and don&rsquo;t provide a receipt. Parts missing, work incomplete. Sebastian engineer and Daniel in the office. Dishonest crooks. Stay away from this company. 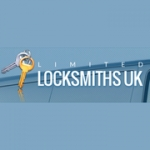 This locksmiths company offers a complete locksmiths service including car keys,house locks supplied and fitted,I would recommend this company to anyone,ask for Geoff. Leave your review of Sure Lock Homes Locksmith -Auto Locksmiths (Uk) Ltd.